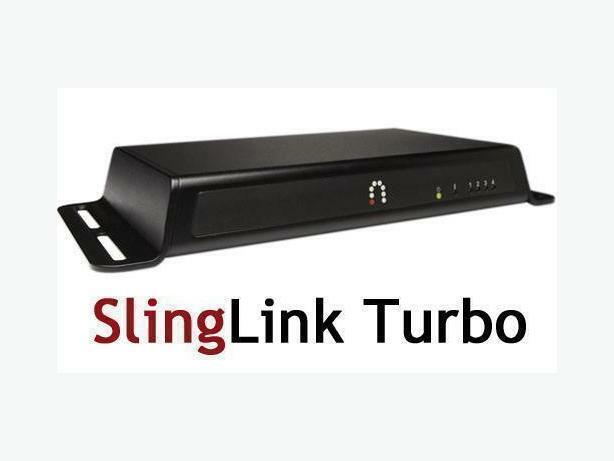 One SlingLink Turbo (1-Port Ethernet Bridge SL 150) for sale. Want to connect your Slingbox but your TV is in a different room than your router? Need a network connection for your computer or game console in an area where you have no wireless coverage? The SlingMedia Slinglink is economical way to extend the range of your router. It allows you to use your home's electrical wiring as a means to extend your router. Used, but in good working condition. Note: While SlingLink Turbo's are usually sold in pairs, I'm only selling one unit.